F.D.C. Willard, also known as Chester, is a cat who co-authored a high-quality physics paper in 1975 in a reputed journal. His owner had a very good (and practical) reason for including Chester as one of the authors. 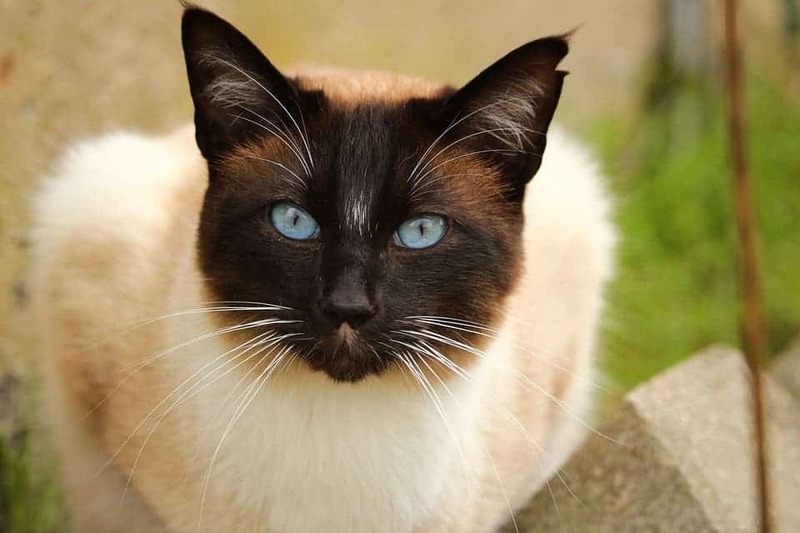 Chester was a siamese cat like this one. Jack H. Hetherington was a professor of physics at Michigan State University in 1975. His research yielded some valuable results in the field of low-temperature physics so he sent a paper for publication in the Physical Review Letters – one of the leading journals in physics. So he sent it for peer reviewal, and it was received warmly, but one reviewer signaled a problem. Hetherington had used the pronoun “we” throughout the paper when in fact, he was the sole author. You see where this is going? Keep in mind, this was happening in 1975 before the internet was a thing, and even before computers. In fact, the entire paper was typewritten, and for all you kids out there — that took a LOT of time. So Hetherington had two possibilities: either rewrite the entire thing or find another author. The first option just wouldn’t do, it was too much wasted time. But adding another author was also problematic as Hetherington himself admitted: it would reduce his prestige and even his financial remuneration. There was also the problem of time: the results were really promising, and for every day he waited, Hetherington risked someone else finding the same results and pitching a paper in front of him. So after “an evening’s thought,” he found the solution: just add Chester as an author. Now obviously, ‘Chester’ is not something you can put on a scientific paper, so he invented a name: F.D.C. Willard. The “F.D.C.” stood for “Felix Domesticus, Chester” and Willard was the name of Chester’s father. So “selling” F.D.C. Willard as one of his colleagues from the university, Hetherington re-sent the paper, where it was promptly accepted and published, going on to be quoted more than 50 times to this day. Job well done, Chester! As for Willard, his comment on the matter was never obtained, though hopefully he got some privileges after his success as a publisher. He even went on to publish another scientific paper, this time in French. It didn’t receive the recognition the first one did, but it did ensure that Willard was the only cat to ever publish scientific papers in two different languages. You can read the first paper here and the good thing is that the American Physical Society declared in 2014 that all cat-authored papers would now be available as open-access documents. They did that on April 1st.